Searching for a top-class Ocean Cruise touring experience? 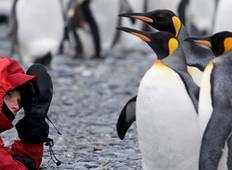 Look no further, as our Luxury tours of Antarctica / South Pole will allow you to discover exceptional destinations such as Antarctic Peninsula and Ushuaia. Taste the adventure and discover new cultures while enjoying premium services and facilities. 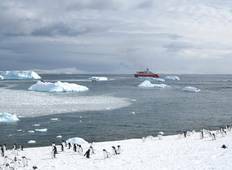 "Went on the Quest for the Antarctic Circle in February. Antarctica was way more awesome..."
"Amazing. It had been ten years since my last trip on MS Expedition with this company...."
"Mind-blowing!! Highlight of my life and could not fault the operations." "G Adventures - Treating Customers Unfairly This is not a trip review but rather comment..."